TBILISI, DFWatch–The Swedish telecommunications giant TeliaSonera is pulling out of several countries, including Georgia. All subsidiaries will be put up for sale in Georgia, Uzbekistan, Moldova, Kazakhstan, Azerbaijan and Tajikistan it was announced Thursday. TeliaSonera said in a statement that the company wants to focus on Europe and Sweden as part of a strategy to create the “new TeliaSonera”. A time schedule was not given for selling assets and leaving the Eurasian telecom markets. “We realize that this will be a complex task that will take time. We are conducting this process market by market as each country and operation has its unique situation, but the ambition is to eventually leave the entire region,” CEO Johan Dennelind is quoted saying. 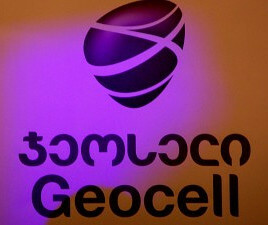 TeliaSonera’s currently owns 58.55% of shares in a holding company that controls Geocell, one of three telecom companies in Georgia, the other two being Magticom and Beeline. Apart from the markets it is leaving, TeliaSonera has operations in Finland, Norway, Lithuania, Estonia, Nepal, Spain and Latvia. Reuters reports that Turkcell, which is a partner of TeliaSonera in Georgia, Moldova, Azerbaijan and Kazakhstan, is considering acquiring the Swedish company’s shares.